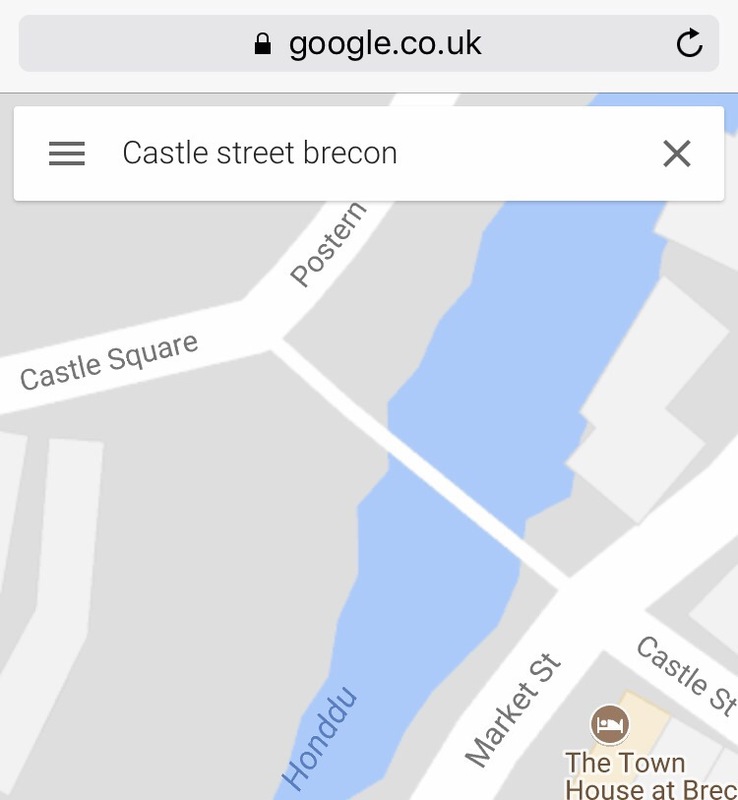 My original thought of recording Brecon’s characters, its environment and ‘a year in the life of’ by visiting many locations making records through photography, video, discussion attempting to incorporate many mediums of record taking was diverted one afternoon whilst walking up ‘Castle Street’ and capturing an image of a couple sitting on a bench on the Castle bridge (see map below sourced from google maps). Having discussed the reason for the photograph with the people captured in the shot and the willingness of the couple to take part in the record I made the judgment that I would attempt to repeat the image structure with differing personalities that I may find using the facility, thus recording a similar image within the same environment. This will be recorded throughout the year and I aim to capture a variety of Brecon’s personalities and hope that the images will represent the changing seasons through the body language and mis-en-scene (e.g. environment/ clothing). Note to myself: I need to ensure I gain the permission to post images within this project. 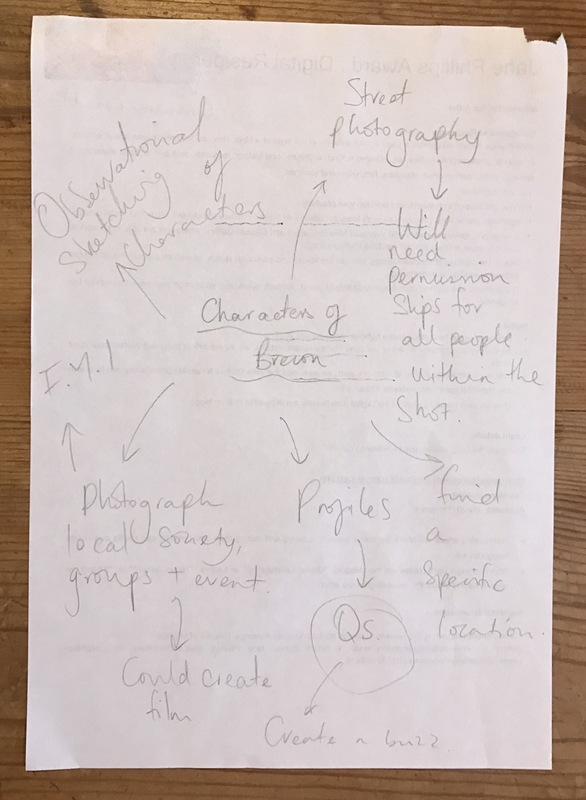 I will be creating small cards to ensure I have documentation stating they are happy with this as well as providing them with knowledge as to the purpose of the photograph whilst also possibly encouraging them to view the blog and witness the projects’ development. After collaborating with my peers, in the recent ‘Open studios’ exhibition, where we recorded a series of time periods using film cameras I have chosen to complete this experiment using only this medium as I feel that this is capturing a single, unique frame in time that can never be recreated due to its spontaneity. The duplication of the captured picture frame and communication with new models ensures that each picture is a new experience, never to be repeated due to the differing time scales and mis-en-scene. I hope to visit this location as often as I can throughout the year at varying seasons and times throughout the day therefore, capturing everyday moments of the characters of Brecon.